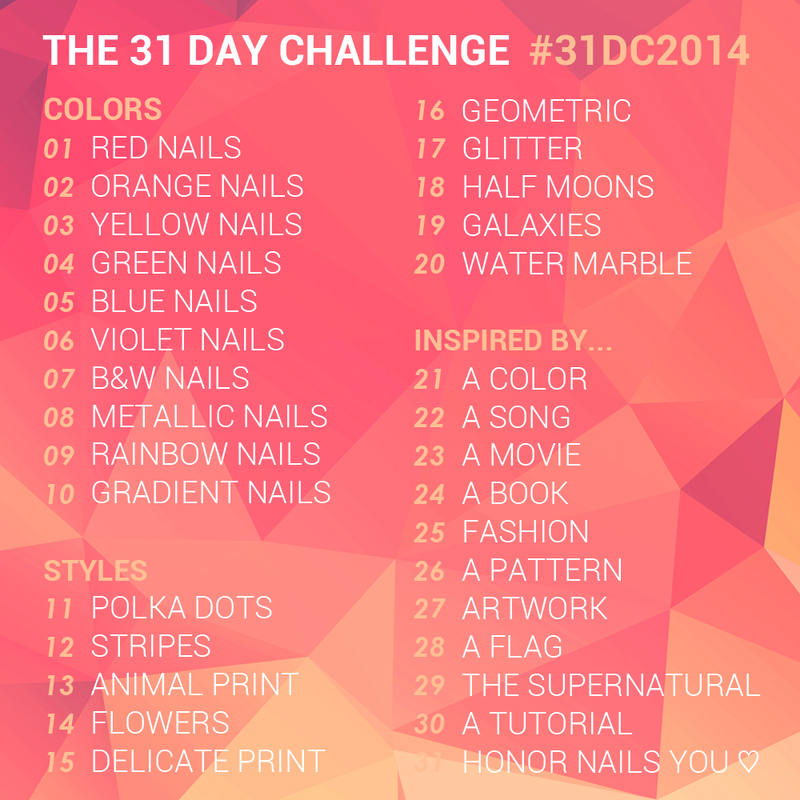 Another day, another fill for the 31 Day Challenge! The colour of the day is yellow and this look actually came about because I made a mess I had to cover up that kind of took on a life of it's own. This is one of those designs that I feel could have gone a step further (maybe by adding a third colour?) to make it fully complete... A lot of times I feel like I stop designs a step before they're truly finished, but maybe that's just me. Either way I'm moderately happy with how this turned out! This actually kind of reminds me of eggs... It's just that shade of yellow! Speaking of, I was reminded today that I don't own a lot of yellow polishes. My choices basically came down to the buttery yellow of Julep Nadia or a bright neon, and I decided to go with the more subtle option. 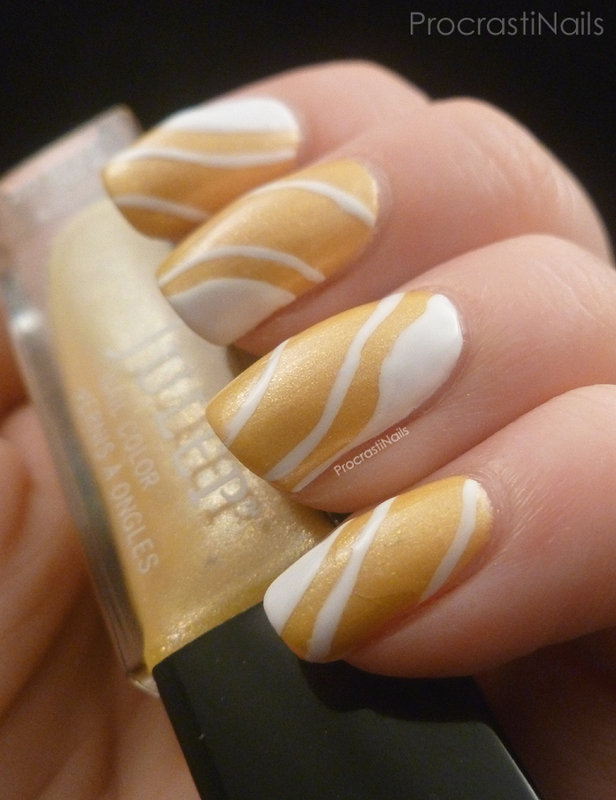 I free handed the white with a striping brush and Essie Blanc. Tomorrow we'll be doing Green so be sure to come back to see what I put together! Such a cute design you did! The colors DO remind me of eggs! how pretty! I really like this look! Very lovely take on the challenge! This is really neat. I'm a novice at nail art so this boggles my mind. It looks so creamy and lush! I think these look really nice! That looks like a lovely yellow polish! 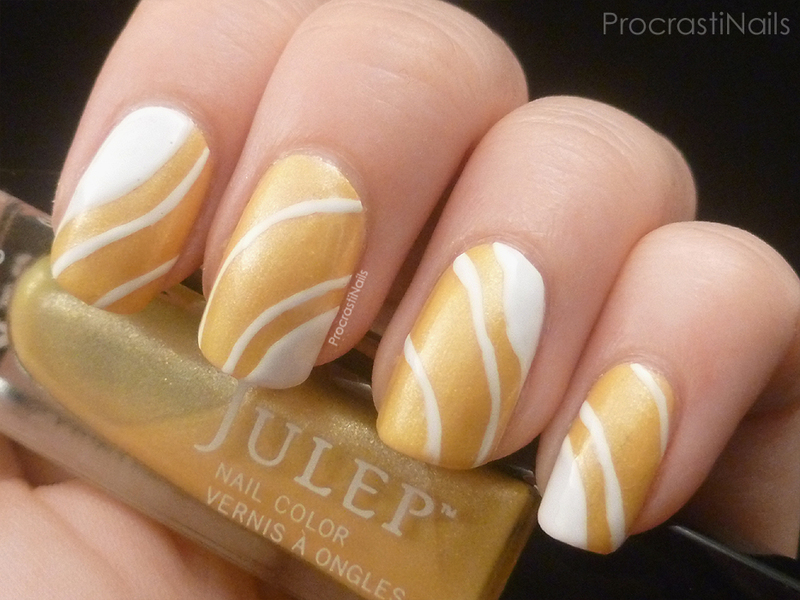 I really like that gold-ish yellow with white. I think those colours would also make a great watermarble combo!